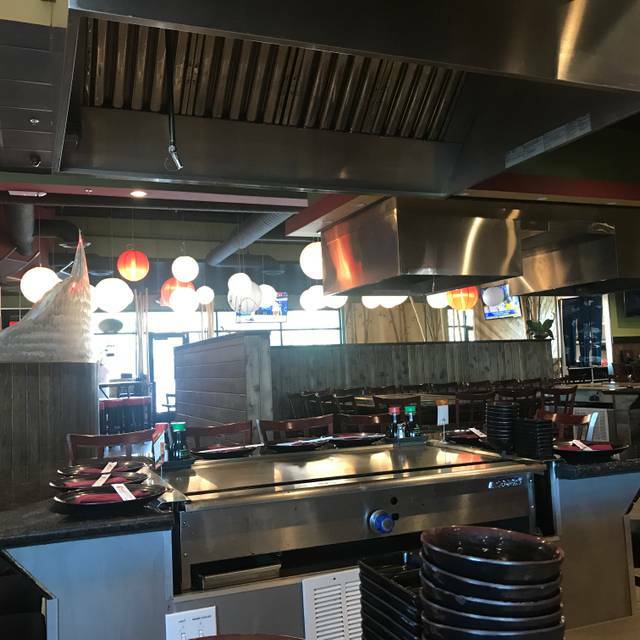 You must make reservations at least 5 minutes in advance of the time at Shirasoni. 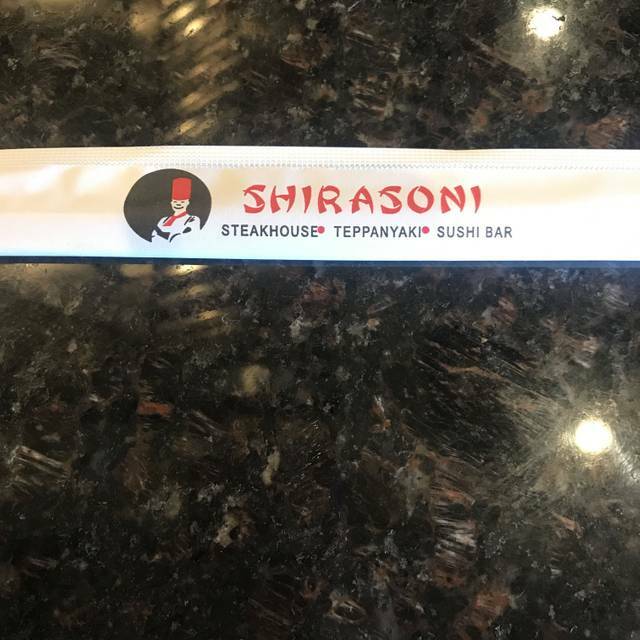 Here at Shirasoni Japanese Restaurant, we pride ourselves on providing excellent service, using the freshest of ingredients, and our delightfully entertaining authentic Japanese Teppanyaki and Sushi dinner shows while providing a fun, friendly, and family experience. 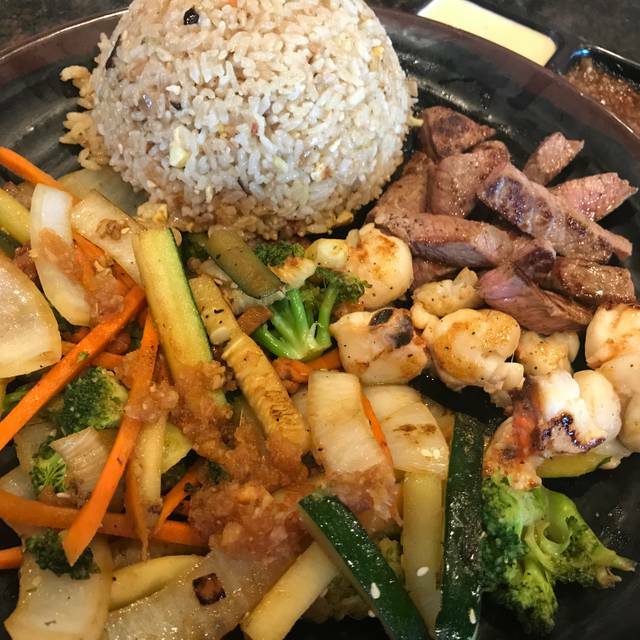 Online reservations are for Teppanyaki dining only. We have made this place a regular. Every time we come, our experience is nothing short of outstanding! Ask for Chef Jesse, he was GREAT. He displayed excellent customer service and was very attentive to the guests at his table. A very fun, lively dinner. Portions are fresh & on the big side. 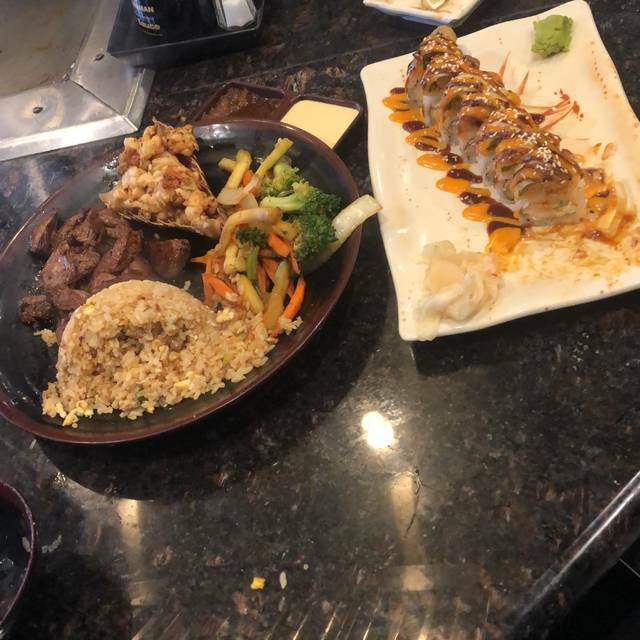 We definitely enjoyed this meal! Excellent food! Large portions! Nice atmosphere! Excellent service! 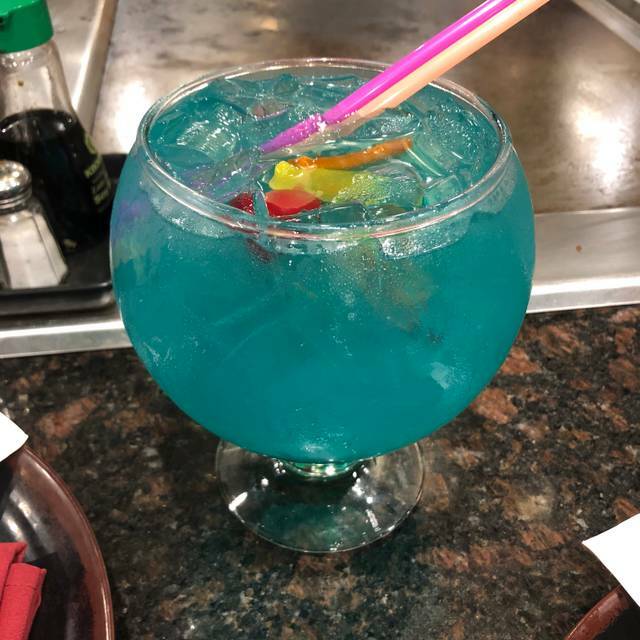 Took my son there for his 11th Birthday.. i specified on the reservation online that we would be celebrating I also told our server.. come to the end of our meal nothing, I was expecting happy birthday or something.. by the way it was not busy at all!! high quality tasty food. terrific value during happy hour in the bar area. or enjoy the show at a teppanyaki table. Excellent service, kids eat free on Tuesdays! Generous portions. 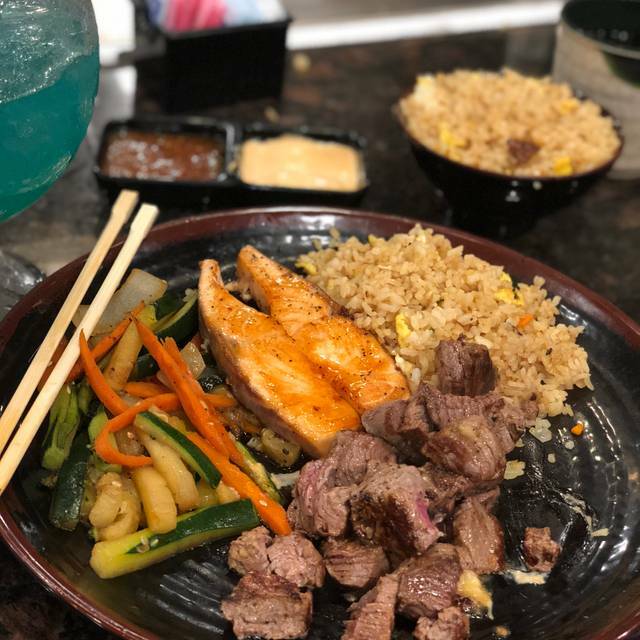 Great Hana japan or Benihana alternative. I would definitely go again. It takes us around close to 1 hour to be able to eat dinner and this is in weekday night. We have reservation at 6.45 pm and we didn’t even get to sit until 7.10. And even the I have to check with the lady in front because at first she told ya that we will get our seats in 15 min but at 7.00 she said that there are a party in front of us. I have to tell her that our reservation is for 6.45 then she has to check and said oh yeah that’s true. If I didn’t check with her she might have given our seat to other parties. Had a great time celebrating my birthday with my daughter. 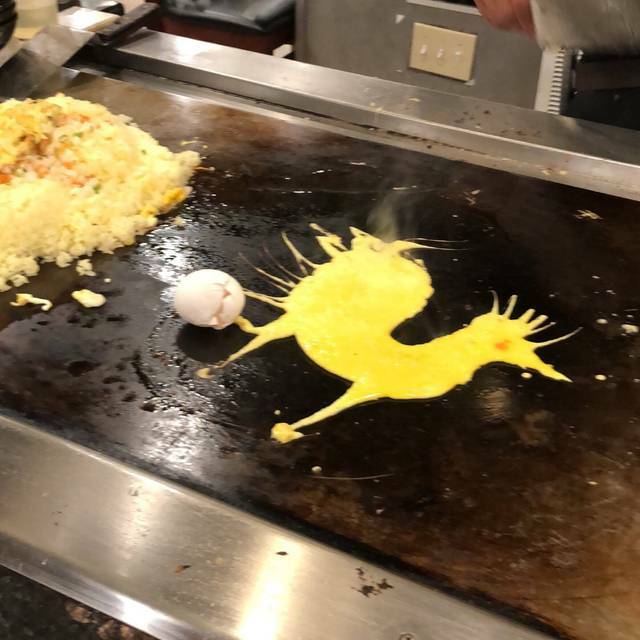 We opted not to do the show this time because we’ve seen the same exact show at three different teppanyaki chain restaurants. Maybe you have to teach your chefs to do some tricks thats unique to your restaurant or some new trick and switch it up more often. I used to go quite frequently but, my past few experiences haven’t been good. At all . The past time my rice was hard,HARD, food wasn’t as flavorful as normal, also the waitress didn’t come around not ONE time and ask did we need a refill or ANYTHING. By the end of our 2 hours there a different waitress asked us were we ok and then a DIFFERENT waitress brought my bill. ALSO I asked the chef to throw a broccoli for my daughter to catch(shes 4& “the fire restaurant is her absolute favorite ) she had been raving about it the entire time. He told me he’s sorry he can’t I should have asked him earlier.im sorry but I’m pretty sure I’ve NEVER asked for that they chefs always just do that. So on top of that I was charged a Gratuity Charge for 3adults & 2 small children ages 4 & 2 who didn’t even order a meal! I spent 200$ that night I took my little brother out to celebrate .Im very disappointed. We had a great experience all 20 of us there to celebrate my Father's 70th Birthday. The manager and host were great also. Once seated, they moved us to another table for a 'better table'. We sat for one hour. No chef. No explanation. Then they said the grill was not ready even though it sizzled when another at our table set their drink accidentally on it. No offer of drinks or anything. The manager comes and pretends to be lighting the grill. Then the chef comes out not prepared. He served cold broccoli and my 12 yr old raw beef. Then the capper: an automatic ĺ18% gratuity on the bill (party of 5 - really?) no birthday discount because our party was not 6 or more. For as loud it was, no manager service and poor meal, Never again. Such an amazing atmosphere with quality service and food. My family and I will definitely be going back very soon. Thank you all for being so accommodating for our reservation. Poor version of Benihana concept. I was very disappointed. Table service is slow due to the ratio of customers to waiters/waitresses. But our waiter always came to check up on us even if it took 10-15 minutes. Teppanyaki service was awesome even though it was rushed. Our chef was funny and season and cooked to perfection. Expensive but worth the splurge once in a while. Overall, it was a great first time experience. Who knew garlic fried rice, made with BUTTER, can be so tasty! If you have patience and love butter on everything, this place is worth checking out. Reservation were at 12:00pm we set down 12:35pm long story short we left out 3:20. The restaurant didn't have enough chefs which meant that the service was extremely slow. Our chef finally arrived at our table more than a hour after our reservation. The food was well-prepared and the chef took care due to an allergy in our party to cook our food first to avoid any cross contamination. While we appreciated the attention and the quality of the food, the lack of adequate staff dampened our enthusiasm. Good entertainment for cook in front of you food. The dining area was loud and cold. We were about 100 ft from the front door, but every time it opened a cold blast of air traveled through the restaurant. The food tasted fine, average dinner price was $30 a person just for entree. So it added up fast. My son liked the fire ball, and I guess that is the main reason we went. The $130 for 3 of us could have gone farther somewhere else. I would go back for the show, but I only need to spend that much 1 or 2 times a year there. Food was excellent and they were very accommodating to my family. We will be back very soon. Good food with a good show. I'll return to try their sushi. Ordered 2 Bonzai dinners, enough food to fill me up and have leftovers for another meal. My wife and I love the food , so much and so much flavor. 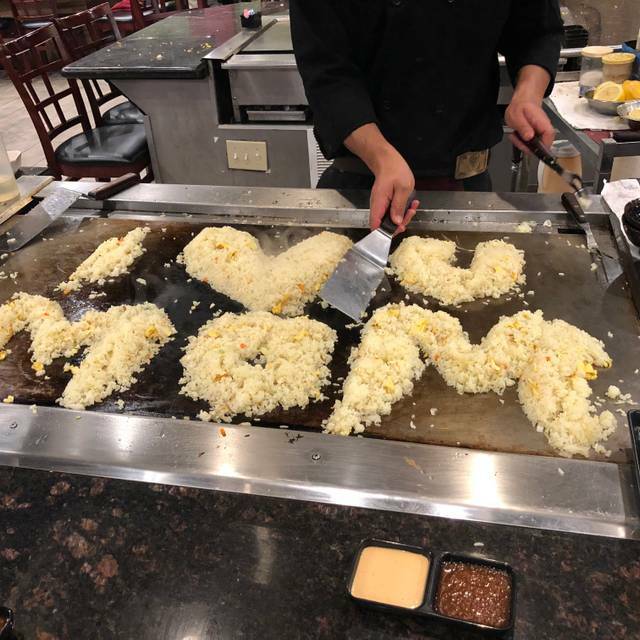 Every time we eat here, we are always so happy! The food is excellent, they have a great drink menu, the staff is awesome and there’s nothing I love more than dinner and a show. We’ve been there with our small kids and for date night and it’s always awesome!! Great service! Extremely accommodating staff food is always delicious. Fun location for party-type outing. Easy parking. Kid friendly. Good food. The food was great with reasonable price. We had a family lunch there and everyone enjoyed the lunch to the fullest. The chef presentation was amazing. Service was great. Place is nice and spacious. Highly recommend. Great food and fun. Large portion sizes. Seems like I’m always taking something home. There are the grills the chefs work there magic and also tables if you don’t want the whole show.